Oneida's Espree Undecorated China Dinner has stylish curved lines and sculptured rim which beautifully frames food combinations . 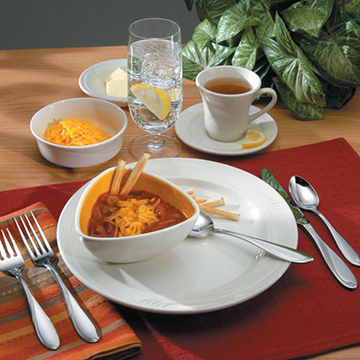 Fine gauge and lightweight make Espree China ideal for the best dining and banquet facilities. The modest rim width provides generous serving space. Also recommended for use in the healthcare industry.